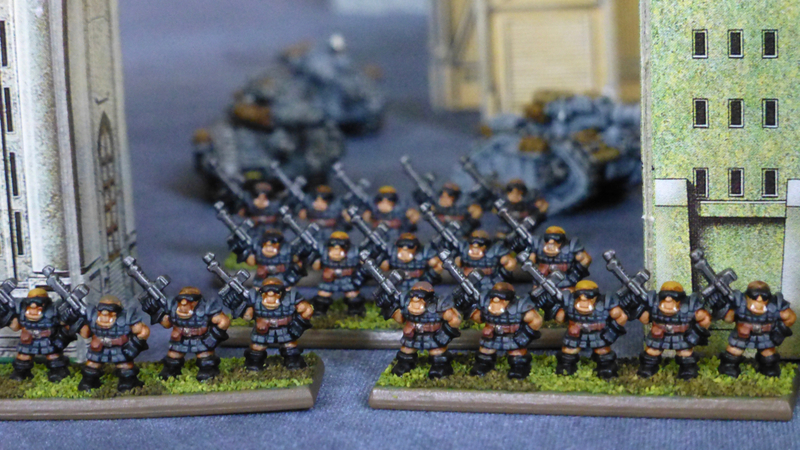 This entry was posted in Epic 40k and tagged Epic 40k, Imperial Guard. Bookmark the permalink. Thank you! I’m having fun with it, neglected Epic for far too long. Thanks! It’s fun having them down on the table, now I need some more Space Orks for a scrap. They look really good, I know how fiddly it is to paint these. I used to love the game but sadly someone walked off with the majority of my bits when I was at Uni. It’s the only time I’ve ever ‘lost’ any of my figures. Thanks, after getting used to the very different style of painting (and managing expectations), they are actually quite simple to paint. I don’t know what happened to my original Space Orks either for the most part, I am largely starting again from scratch. Fab. 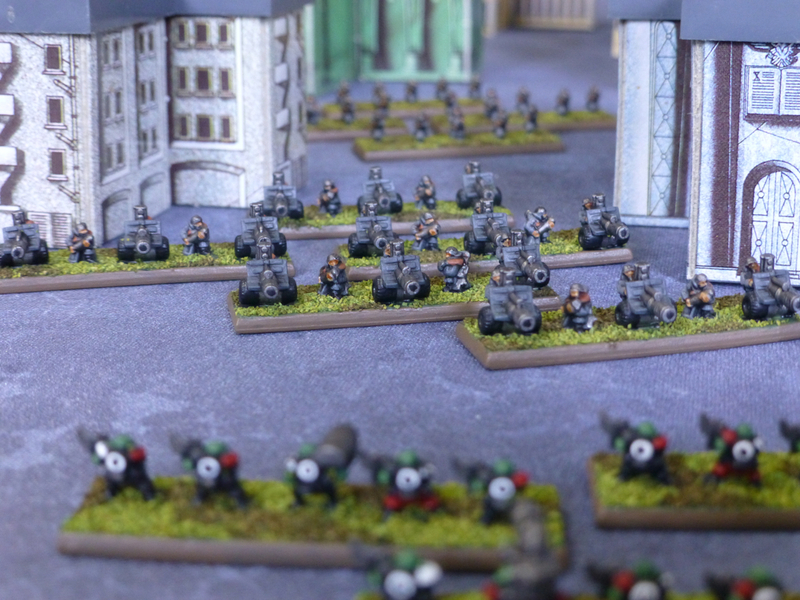 Epic infantry really is rewarding to paint, making you feel like you are mustering an army, which you are. 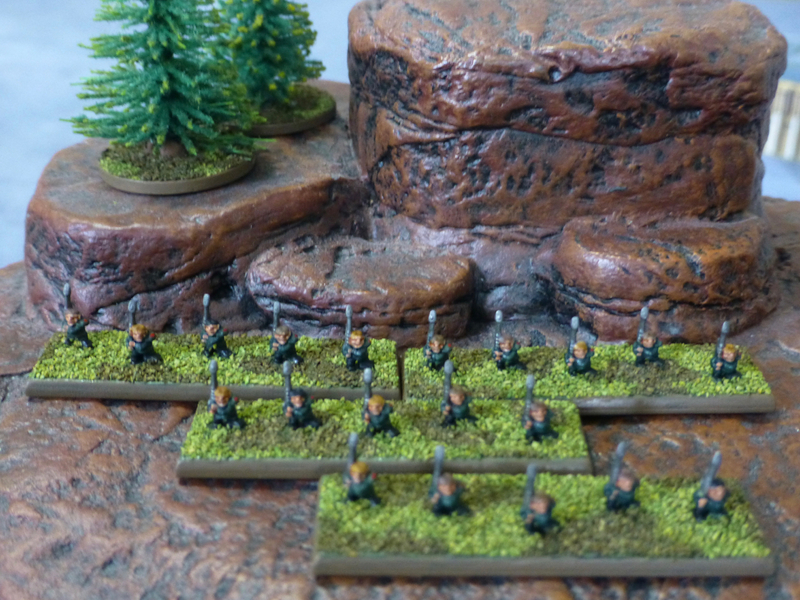 True, it is a very satisfying experience being able to field entire platoons of troops and squadrons of vehicles in the time it takes to paint one infantryman in 28mm. 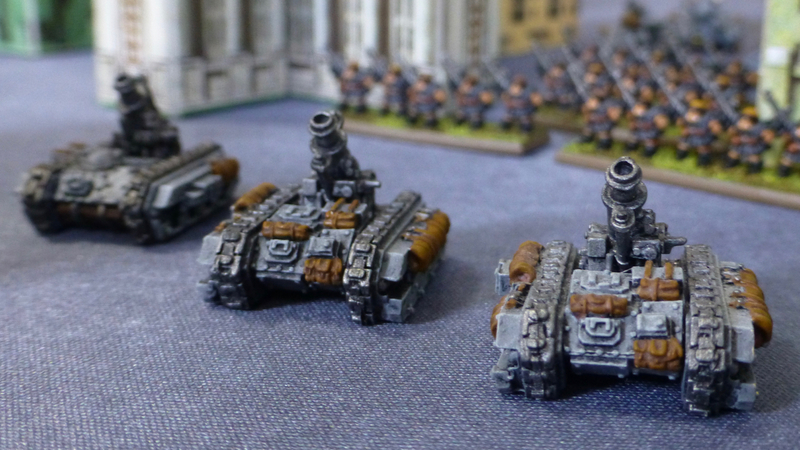 They wargaming mind is so easily tricked – and distracted. Still, I hope to keep working away at some Epic forces amongst whatever else takes my fancy any given week. They look great, especially considering the size of the miniatures. Some of the Ogryns look a bit like Hulk Hogan with blond hair, mustache and beard (I assume that the hair at least is intended to be a hat)! Thanks! I thought the same, definitely some Hulk Hogan vibes. They do have haircuts, not hats – at first I was annoyed that they didn’t come bald, as it meant one more painting step, but now I think it is good as it gives them some variety in hair colour. The white whiskers are actually canine teeth!